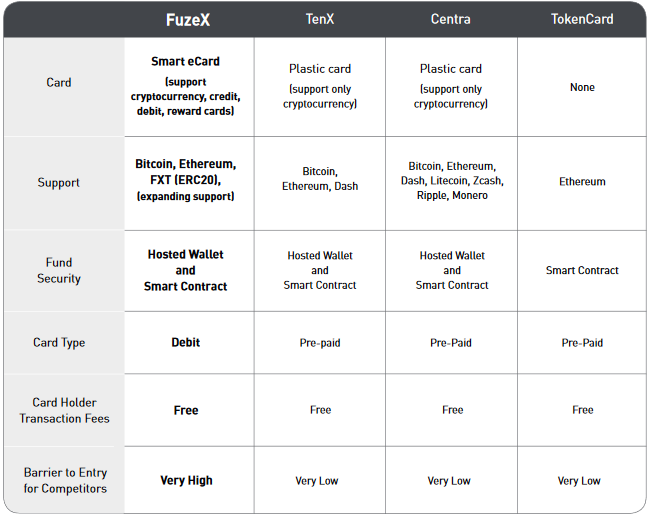 FuzeX will take us to the technology that brought us the first transparent, secure, and decentralized currency through Bitcoin has opened the floodgates for incredibly innovative business solutions through smart contracts on networks such as the Ethereum Network. Through this, a large number of businesses have minted a growing group of people with significant wealth tied to cryptocurrencies. 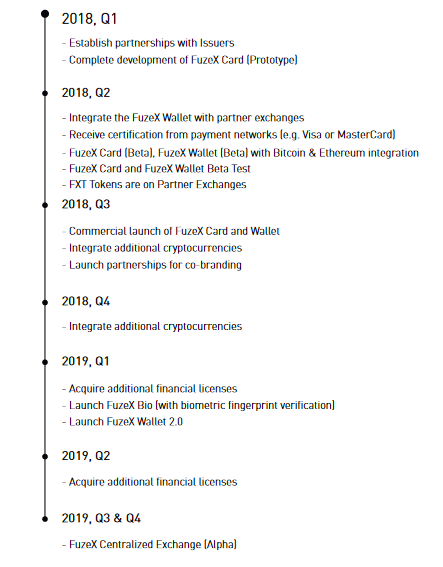 In this regard, FuzeX is looking beyond the standard approaches. The team at FuzeX is seeking to deliver an innovative user experience as well as solving the cryptocurrency usability problem by introducing the FuzeX Ecosystem. In building FuzeX, we draw from our experience and expertise in having already successfully developed, brought to market, sold and shipped 30,000+ Fuze Cards (magnetic strip and barcode enabled), which are smart e-cards that enable users to embed up to 30 credit, debit, or reward cards in one. 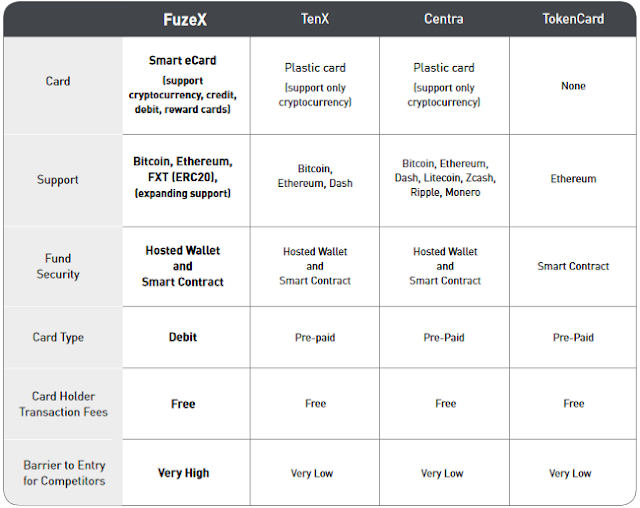 The FuzeX Card will include all the features of the Fuze Card with the additional benefit of multi-cryptocurrency integration. 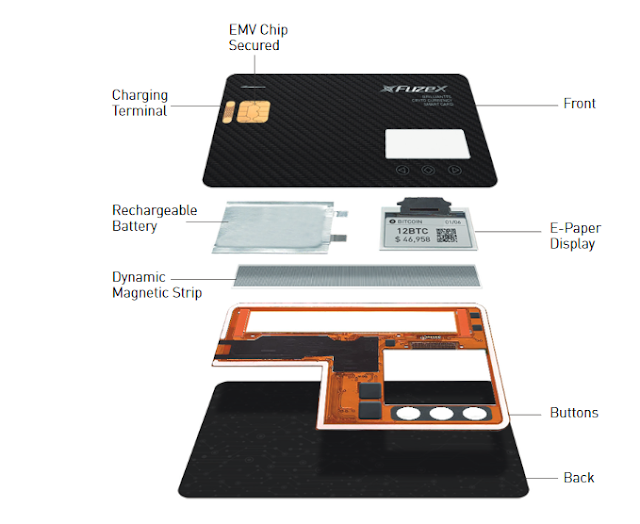 The FuzeX Card is identical in size and thickness to a standard credit or debit card and consists of an EMV chip, a dynamic magnetic strip, an E-Paper Display (EPD), three input/option buttons, a rechargeable battery and a charging terminal. 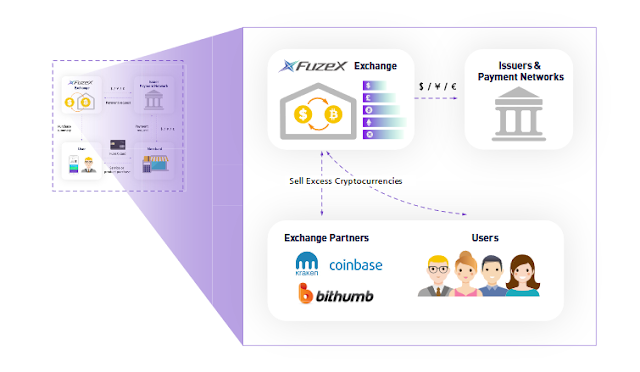 When the User approves transactions on his/her FuzeX Card, the cryptocurrency payment is transferred to the FuzeX Exchange, which holds a multitude of reserve cryptocurrencies and fiat currencies to facilitate payment transactions. spent by users in the stated fiat currency from its fiat currency reserves.